As a wedding photographer I learned a lot from collaborating with other professionals. I always found that the best ideas came out of conversations with people I loved to work with – we always shared the same goals of wanting to share and improve, not just our own business, but make things better for the industry as well. With this in mind, in January of 2010, I started a shared space for wedding, event & style professionals called Soirée Philadelphia. A very good friend, Mark Kingsdorf, formerly of Queen of Hearts Wedding Consultants, suggested I get a small space in the city. He was referring clients, but very few were booking consultations, and he suspected it was because we were located in New Jersey. While we were only 35-40 minutes outside the city, it was enough to make busy couples think twice about traveling out to meet with us. Mark was right – our bookings jumped from 14 weddings the previous year to 29 the year we got the studio in Philadelphia. Things were going well for the photography business, but the studio often sat empty. 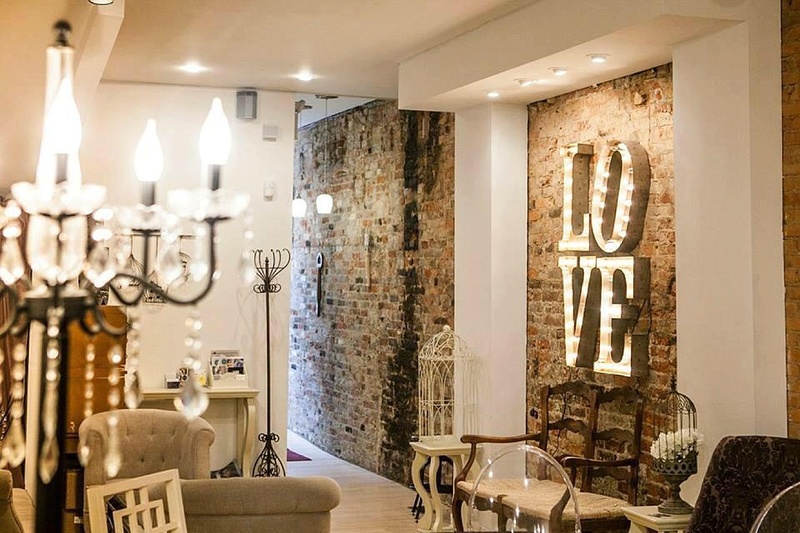 We were only using the space for client meetings and as a sort of home-base for engagement sessions that took place in Old City – we were only there a few days a month, a couple hours at a time. I thought, this studio did so much for me, why not open this up to other professionals? So I called Mark and offered him the first opening. He was interested, but concerned that people might feel pressured to book both of us if we were sharing a space – it was time to re-brand…. I rented another small space down the street, which is where I created the branding for Soirée Philadelphia. The shared space needed to have its own identity outside of my studio to provide separation from my business. In terms of the space itself, I was careful to make the Soirée brand as minimal as possible. I wanted members to occupy the space as their own, so the palette is neutral and there is only a small sign on the door. Members can use the space however they like during the time they reserve on our shared calendar. We have planners, photographers, videographers, stylists, designers and more. We do limit membership to no more than 5 members in each category, just to keep things balanced. In a strange turn of events, we ended up moving (twice!) and wound up back in the original studio space, but as Soirée Philadelphia. We are now settled into this space, and it couldn’t have worked out better. We have a great location with plenty of convenient parking and wonderful members who have stayed the course through some interesting transitions (thank you guys!). What’s in the future? I’m still a photographer (focusing on headshots now), but Soirée Philadelphia is now my main focus. We are always looking for more members and we love collaborating. We have hosted seminars, pop-up shops, trunk shows, networking parties and the space is available for events & workshops. 1. Dollars and sense… It just makes sense to share. If your main focus is weddings, you meet with clients, shoot engagement sessions and weddings on the weekends, but the rest of the time, you are likely working from home. Or if you are a makeup artist or other professional, you have one to two appointments with each client, maybe an hour or two each. Financially does it make sense to rent an entire space for yourself? I’ve seen so many photographers and other service based professionals jump into a retail space or studio, only to find out that they can’t handle the rent, insurance and other expenses. In this region, we have “slow seasons” – but the rent and utility bills don’t take any breaks. 2. Location counts… Having a physical address where you want to do business can really have an impact. Not only are you making yourself convenient & available to your clients, but the SEO is hugely valuable. If someone searches “Philadelphia wedding planner” and you don’t have a Philadelphia street address on your site (nope, PO boxes don’t cut it), you won’t rank nearly as high on Google as those who do (you may not show up at all). This doesn’t just apply to cities – it works regionally too, as long as you find a location is that centrally located and easy to find. The key is to find a group that is centered in your target market. Co-working spaces are also a great option if you need a place to maintain a desk space. 3. Its not a race with a finish line… I was fortunate that my wedding business grew quickly, so I was naively expecting the same for Soirée. It’s been a slow journey finding the right people, but that was a blessing in disguise. The majority of our new members were referred by an existing member, so Soiree’s growth was built on trust and organic connections. Soiree is constantly evolving, which allows us to consider new and different ways to grow and connect more professionals with each other and new clients. 4. 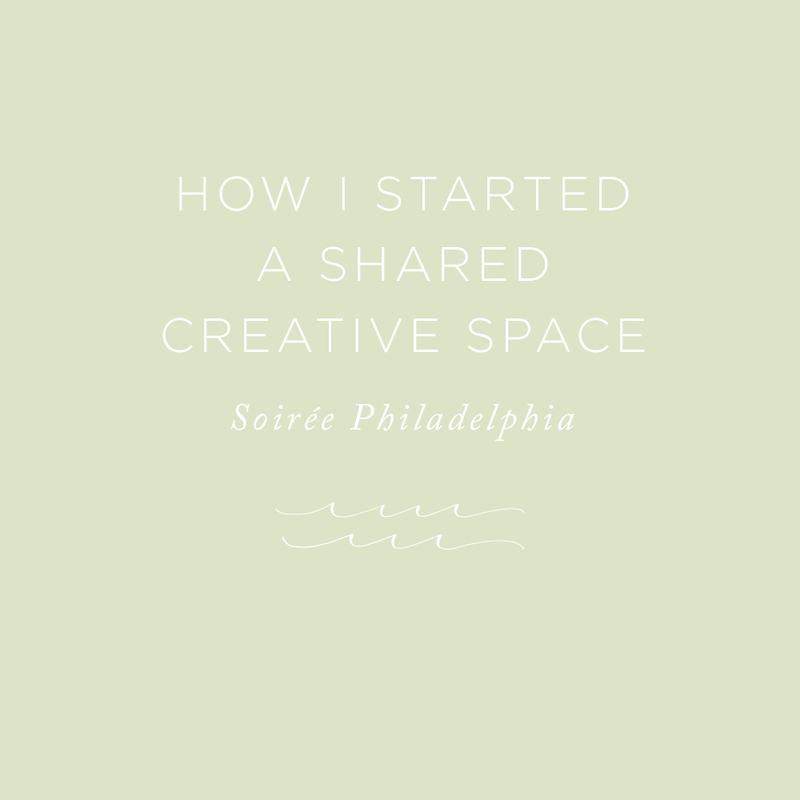 Collectives & shared spaces are generally made up of awesome people… Soiree Philadelphia works because, by its very nature of being a shared space, it attracts the right people. If you aren’t into collaborating, networking and sharing – you aren’t going to want to join. I may have started this collective, but it’s the members who have built this community and have kept us going strong since 2010. 5. You have to have a solid foundation… I don’t think I would have ever been able to start a shared space if I had not spent so many years building relationships and friendship in my local industry. People knew my name and I had a good reputation – so people were willing to trust that this was not something I was “trying out” or taking lightly. Also remember, landlords mean business. When you sign a lease, you are on the hook for the full amount, regardless if members join, leave, pay late or don’t pay at all. You have to be financially secure enough to make it on your own just in case. Moving forward, we are opening up our space to a series of Creatively Connected classes & events to help bring together more people and create more of a sense of community. We have also lowered our rates for half and full day rentals to make the space more accessible to creatives would like to teach workshops.